Key Food is based on Staten Island and has eight locations there, but the oldest Staten Island store still operating is this store on Forest Ave in the West Brighton section. Built as a Bohack (a local chain) probably sometime in the 1950s but closed by 1977, according to JoshAustin610. The store opened as a Key Food soon after. Between 2000 and 2005, the store was converted to a Key Food Marketplace. 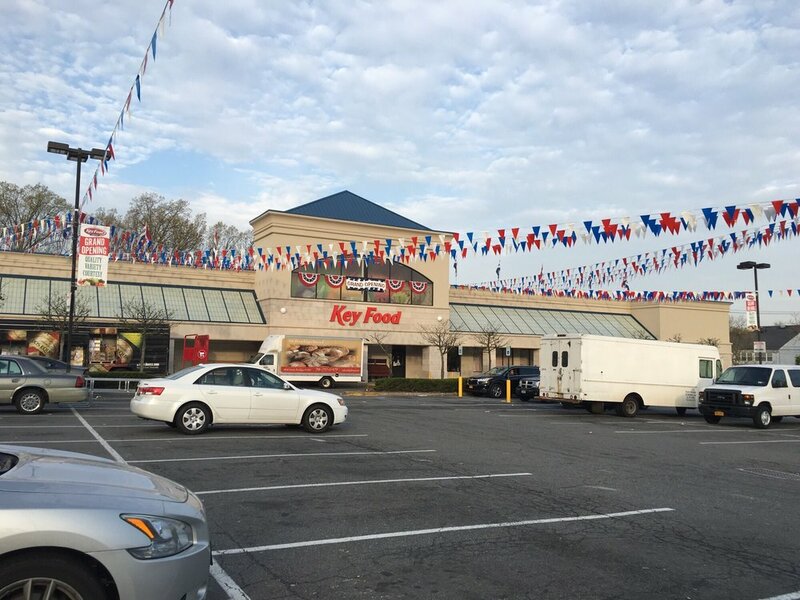 KFM stores typically have more service departments and a larger selection than standard Key Food stores. But this one was likely converted because when the old Key Food logo was replaced with a new logo, the shape changed. The KFM logo is the same shape as the old KF logo. So it was easy to simply replace the sign with a new one of the same shape than redo all of the signs. This old-school store is owned by longtime chain Dan's Supreme Supermarkets (run by the Grobman family), which also owns a brand-new Key Food also on Staten Island. The exterior of this one could sure use a paint job, but it's not bad otherwise. You enter on what's really the side wall and turn right. Produce is in the first aisle, with dairy along the back wall, deli/bakery in the far back corner, meat in the last aisle, and frozen foods in the front corner opposite the entrance. Small floral department immediately inside the entrance opens up to a nice enough produce department. Obviously the store is...um...not young, but it's well-maintained. I have a feeling the department lettering is newer than the rest of the store's decor and may have been installed at the same time as the Key Food Marketplace switch. Dairy along the back wall, with stacks of paper products above of course. The aisle markers also look slightly newer than the rest of the store's decor. Looking along the back aisle. The deli/bakery is at the far end. Looking back towards produce from the deli corner. Looking towards the front of the store and frozen foods. This corner has also obviously been redone more recently than the rest of the store. Nice deli and there is an in-store bakery, although it's not set up as a service department. The bakery is on the side wall with deli on the back wall. Meat continues along the last aisle, but there is no service butcher counter here. Frozen foods are along the front wall in the corner. Looking from frozen to meats. Although those coffin cases should be replaced, at least they're making use of the space above them. Again, while this decor could be original from 1977, the lettering definitely isn't. Looking from frozen along the front-end. Customer service is at the far end, by the entrance. 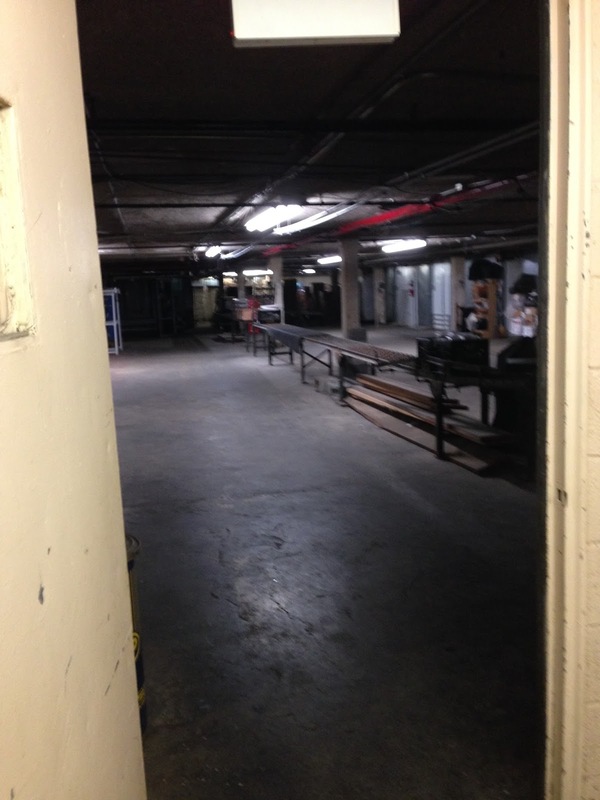 A peek into some of the backroom space from the hallway where the bathrooms are. (The bathrooms are, by the way, ancient. At least by bathroom standards.) This basement covers almost the entire sales floor space and most of it was empty (no products, no employees) which makes me think there is more back room space elsewhere. At least it was very clean. 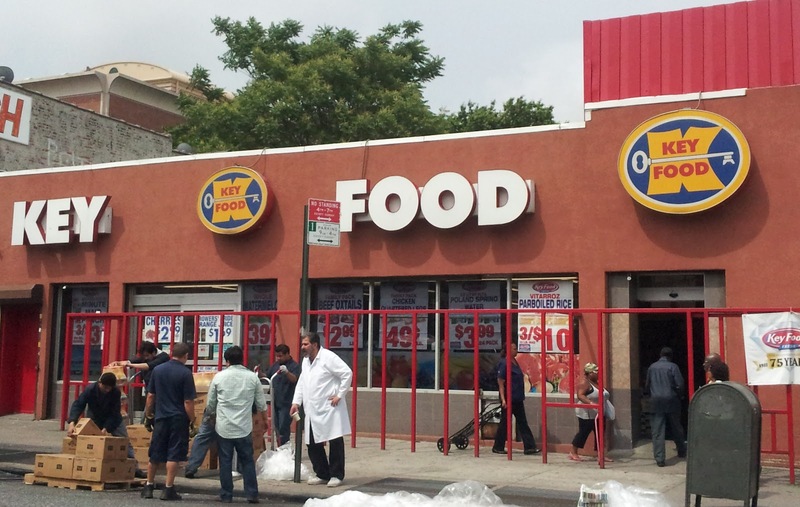 I'd recommend stopping by this Key Food Marketplace if you're ever on Staten Island because so much of it is so old, and as Dan's Supreme renovates more and more of its stores, I doubt this one can last as it is much longer.